Last week, in preparation for the next round of my memory keeping club, I printed off and organized all my photos from January to April of this year. I slid them all into pocket pages and even added cards to many of the pages. Now it's just a matter of going back and doing some journaling and embellishing. It's so easy to memory keep with pocket pages because you can do small chunks at a time. I feel so accomplished and hope to be able to keep it up! 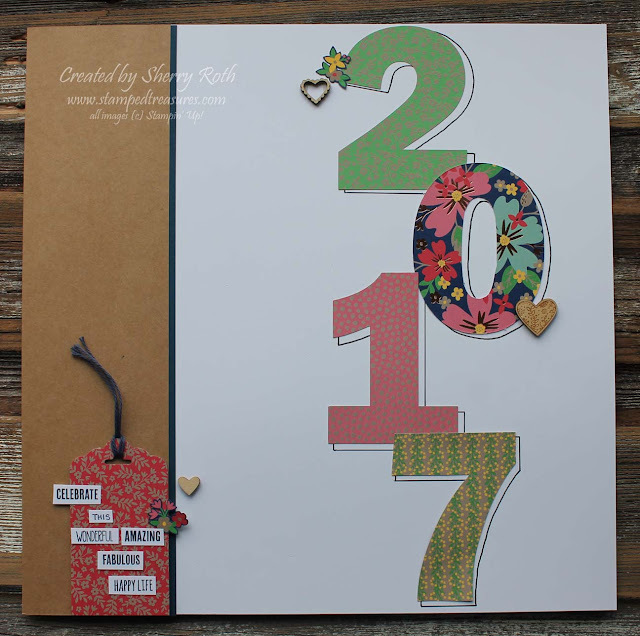 Because I am starting a new year, in a new album, I needed to create a title page or a page that introduced what can be found in the album. I like to do something on the very first page of an album. I usually fill two albums a year. The first album always starts with something that includes the year but the second album is free game. I've done a favorite quote, a cute saying or I've included some memorabilia. There are so many possibilities. For this years album I used a combination of retiring and new items. The numbers were cut from the Affectionately Yours specialty paper using my Silhouette. Before sticking them down I traced them with my Project Life pen and then off centered the cut numbers. 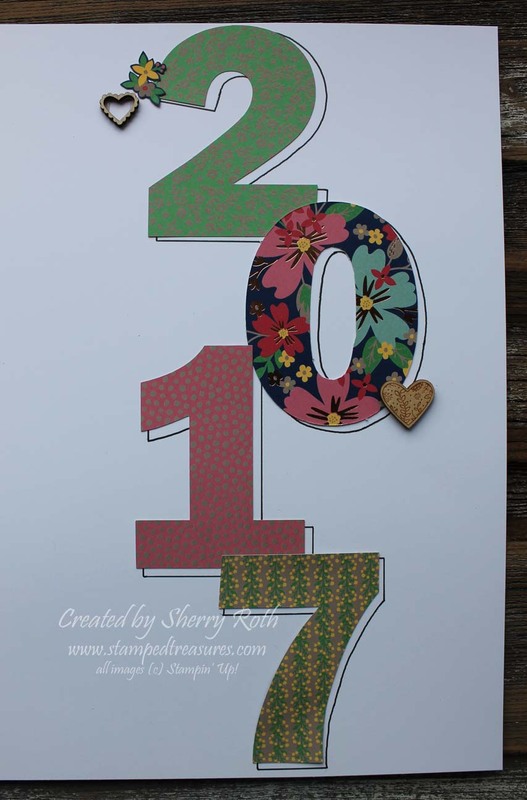 I used some of our kraft cardstock (also retiring) down the left side of the page, added a little tag and used a new stamp set called Tabs for Everything (available June 1st), to create a few little word strips. 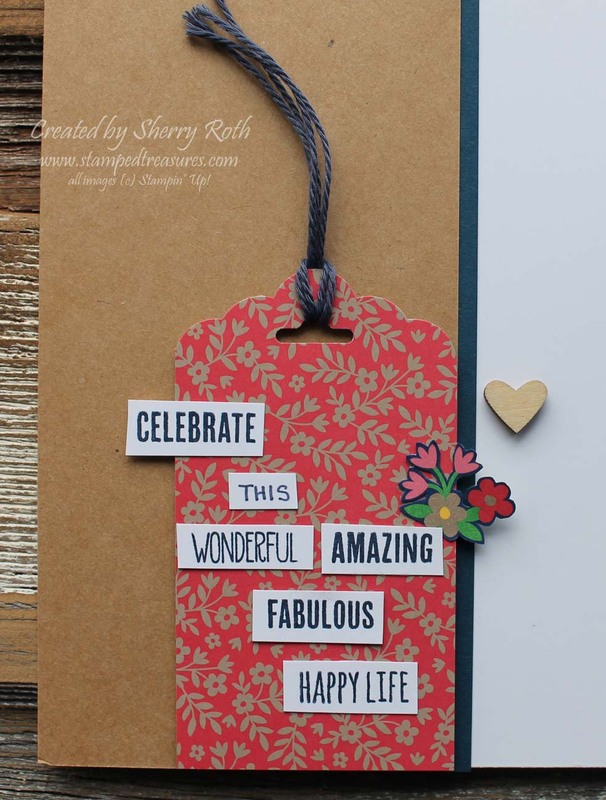 The little wood hearts are from the Sending Love Embellishment pack and are also retiring. The little cluster of flowers were cut from one of the patterns in the Affectionately Yours DSP. A fun way to welcome the new year! How do you start a new album? Do you include a cover page? We are nearing the end of the current catalogue. Here's a link to the retiring items if you'd like to have one last look before things retire for good! Note: The Tabs for Everything stamp set will be available to order June 1st.